Cape Town - Wiaan Mulder's blistering half-century as well some excellent bowling from the spinners paved the way for the Highveld Lions to get their CSA T20 Challenge campaign going thanks to a comfortable 18-run win over the Dolphins in Durban on Wednesday. The Proteas all-rounder smashed five sixes and two fours in an unbeaten 59 off 34 balls to help his side post 159 for five at Kingsmead, before Aaron Phangiso (2/15) and Bjorn Fortuin (2/14) grabbed two wickets apiece in tidy spells to restrict the hosts to 141 for nine. 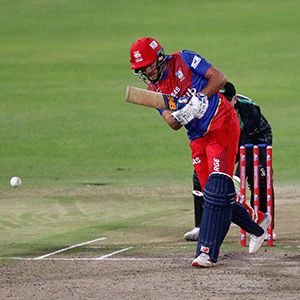 It completed a relatively one-sided victory for the Lions and was the perfect response after they suffered a last-ditch defeat to the Cape Cobras in their opening game at the weekend. The Dolphins will be disappointed with their display, particularly late in their bowling innings and when they came out to bat. After winning the toss and bowling first, they had the away side in check for most of the innings thanks to good bowling by their own spinners, Keshav Maharaj (1/16) and Prenelan Subrayen (1/25). The Lions lost Reeza Hendricks (0), Ryan Rickelton (13) and Rassie van der Dussen (18) relatively cheaply as they reached 98 for five by the 15th over. At that point, only Temba Bavuma (26) and Wihan Lubbe (24) had managed to get into their 20s, before Mulder began to cut loose. He was particularly harsh on Lwandiswa Zuma (1/42) on his way to his half-century - the Dolphins set 160 to win. But they were dealt a double blow in the first over by Fortuin, who accounted for both Sarel Erwee and Cody Chetty for ducks in a double-wicket maiden. Veteran Morne van Wyk did his best to try and keep up the pace but fell after a valiant 44 off 26 balls. Phangiso then accounted for Robbie Frylinck (5), run out by the bowler when a straight drive was deflected on to the stumps, while Marques Ackerman (25) fell next ball, leaving the match effectively over by the 13th over. Maharaj (19) and Subrayen (31) hit out late on but it was never going to be enough as the Lions ran out comfortable winners. Which franchise will be crowned 2019 CSA T20 Challenge champions?